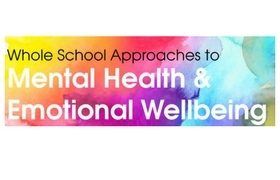 One of the recommendations identified during the Whole School Approaches to Mental Health and Emotional Wellbeing in Liverpool review, was that schools would benefit from the development of a Liverpool-based mental health and emotional wellbeing toolkit. This toolkit contains a range of resources and local information designed to help teaching staff to recognise early signs of mental health issues and, working alongside the school’s ROAR or Mental Health First Aid Champion, decide on the appropriate action to take to support the child. You can view the school/education setting’s mental health and emotional wellbeing policy – including a version aimed at supporting young carers here. What do I do if I’m worried about the mental health or emotional wellbeing of a child? 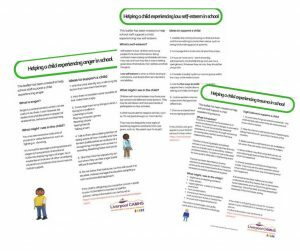 We have developed a range of information sheets covering pupils’ situations, feelings and behaviours that staff in schools and education establishments may encounter. Being able to identify the signs and confidently offer early intervention, can prevent problems from escalating. 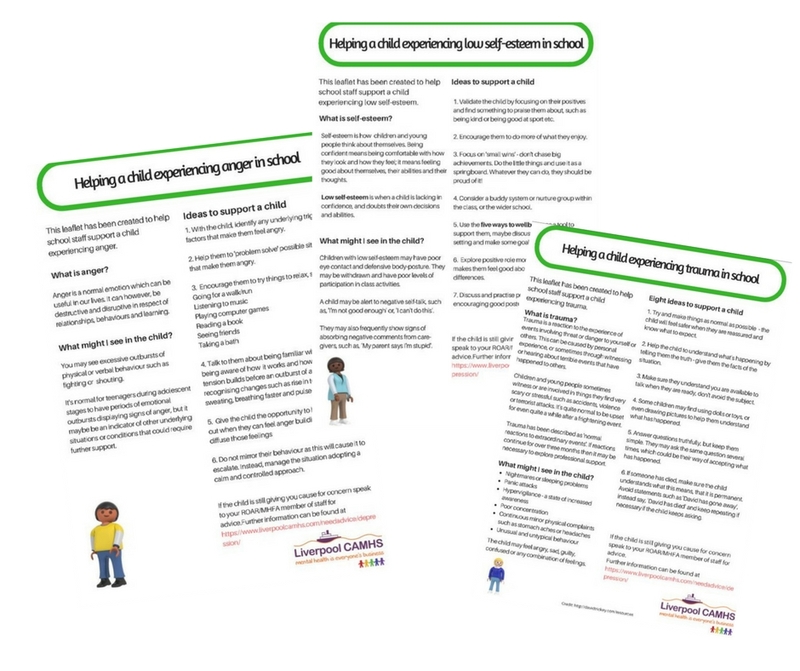 We have created parent/carer-friendly versions of these information sheets which can be downloaded here and child/young person-friendly versions can be downloaded here. The Liverpool Neurodevelopmental Offer is made up of a number of organisations that also provide information to schools. There is a range of information guides and resources explaining the range of neurodevelopmental conditions, such as Autistic Spectrum Disorder (ASD), Attention Deficit Hyperactivity Disorder (ADHD) and Sensory Processing Difficulties (SPD), including how to recognise signs through to advice on how to manage and support children with these conditions.